Ceramics Museum of Andenne from May 12th to June 10th, 2018 and Cultural Centre of Andenne from May 20th to June 10th, 2018. 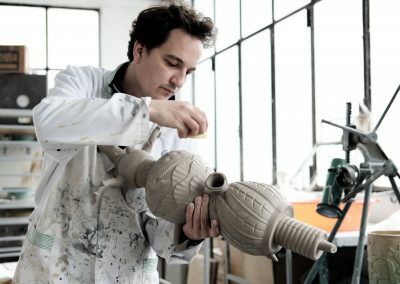 The Italian ceramic artist Paolo Polloniato will be in residence in Andenne until May 19th, 2018. This will be an opportunity to learn more about the approach and technique of this artist of international renown. Critics have hailed him as one of the pioneers in reclaiming historic moulds to create contemporary and totally astonishing ceramic objects. 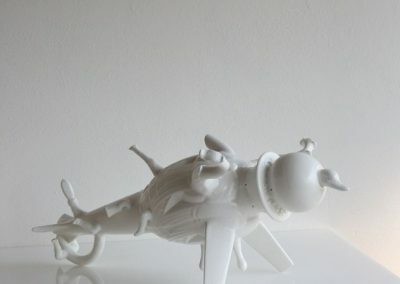 His pieces are delicate, ironic and surrealistic. You could see some of his arts works at the Ceramics Museum of Andenne (see “Ceramics Museum“). Works made during his residency in Andenne, inspired by the city heritage, will be exhibited at the Cultural Centre of Andenne from May 20th, 2018. 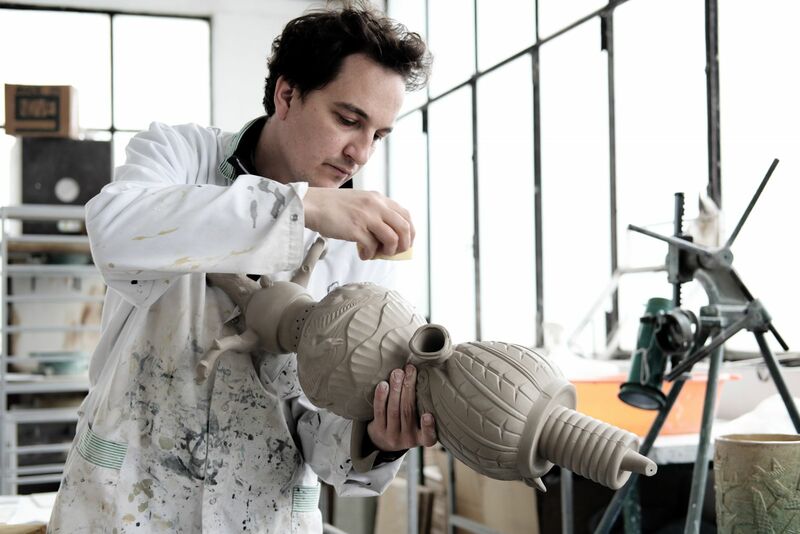 As part of CAA 2018, the Cultural Center of Andenne hosts, in partnership with the Ceramics museum, the Italian artist Paolo Polloniato. This artistic residency, organized in the ceramic workshop of the Cultural center, is a great opportunity to learn more about the approach and technique of this artist of international renown. 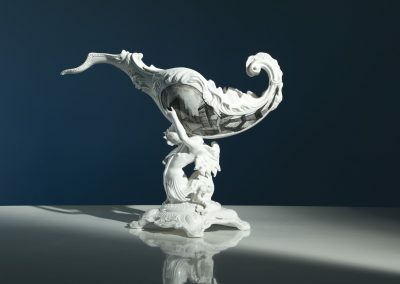 Critics have hailed him as one of the pioneers in reclaiming historic moulds to create contemporary and totally astonishing ceramic objects. 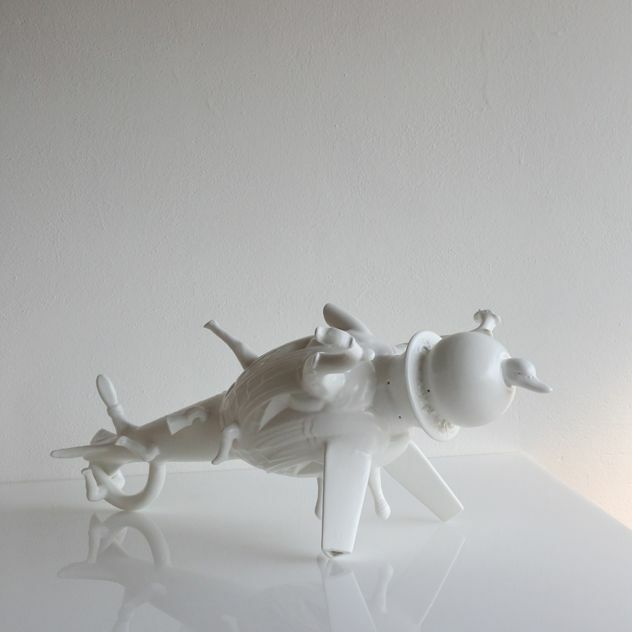 His pieces are delicate, ironic and surrealistic. This residency project would not have been possible without the support of the City of Andenne because Paolo Polloniato’s purpose was to create works intimately related to the history of Andenne and its cultural and artistic heritage. 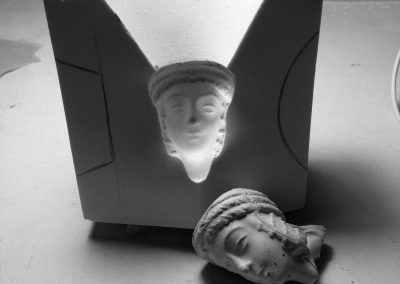 It has been necessary to make moulds of old pieces of the collection of the Ceramics Museum. These art works will be exhibited at the Cultural Centre of Andenne after the residency. CAA 2018 has chosen to show you in this exhibition the heads of pipes and moulds, as well as the art works created by Paolo Polloniato during his residency that will complete the Andenne’s heritage. 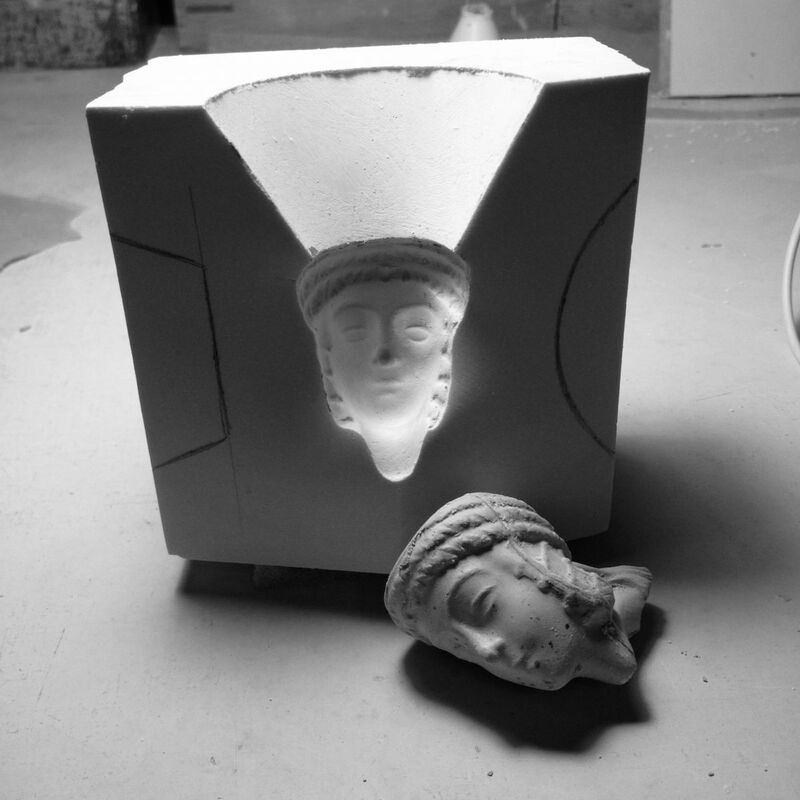 The Ceramics Museum has entrusted ceramist and specialist in the manufacture of molds for ceramics, Paolo Iori, in order to make the molds that Paolo Polloniato needs for his work.